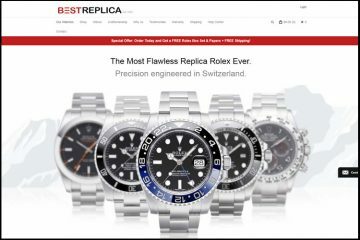 Replica-watch.org presents itself as a “WORLD LEADING SWISS REPLICA WATCHES STORE”. We all know that this is an overstatement. In this business there is no world leading store. There are only trusted merchants and scams. We, watch collectors, live for the thrill of finding the next perfect replica that will enrich our collection and for this reason only we continue to search for decent merchants that will provide us with good quality watches at affordable prices. 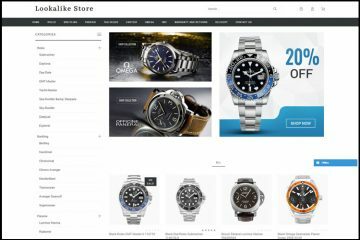 The description page is pretty detailed and mentions all the basic information you would want to know about a replica watch before placing your order. What I don’t like is that it doesn’t mention the type of mechanism the watches have, if it is Chinese, Japanese or Swiss; or the movement ID number. The website doesn’t have an advanced search option, but this isn’t actually a problem as the collection is so small. Browsing it completely is just a matter of minutes. Replica-watch.org ships packages worldwide with FEDEX and DHL. The delivery usually takes about 5-7 business days and you also have the advantage of being able to track it online throughout its progress. Plus, orders over $300 get free shipping regardless of the shipping country. I don’t know about you, but these sounds pretty good to me. The company offers a 15 days unconditional return policy. This means that if the item has arrived damaged, if it is different than expected or if you simply do not like it then you can ship it back and the company will offer you three choices: a refund, a replacement or repairs. Please note that the costs of returning the item and any additional costs are supported by the customer. Also, for every refund, the merchant charges its customers with a £4.89 re-stocking fee. Replica-watch.org greets us with three promotional banners presenting its great discounts and inviting us to click on the „View Now” button which actually doesn’t work at all. I hope their watches are more functional than their ads. The website’s design and layout are as plain as they get. It has a gray and white color scheme, a top menu and a couple of banners; nothing complicated and certainly nothing professional about it. The company sells only seven watch brands. That is very less for a replica company, especially for the ones I am used to. Browsing through the collection, it is pretty hard not to notice the urge this merchant has to lie to us. First, we are supposed to believe that these watches are now at a discounted price, more exactly that some of them used to cost over $1,000 and now are about $100. Secondly, that it offers full solid gold watches at $100. We all know that it is impossible to sell a full gold watch at 100 bucks regardless of its manufacturing place or of the discount rate that has been applied. The company takes Visa and Western Union payments only. I am not too fond about companies that take just two payment methods. This shows how unreliable the business really is. Solid merchants are able to provide more than two options because they are reputable and payment processors are willing to deal with them. Pictures: I don’t want to spoil anyone’s fun, but the product pictures are taken by different companies. The very possible reason for this is that these photos are from different places and are not of the actual stock of replica-watch.org. Considering this, I feel that the company can not be trusted because we don’t have an actual proof that it has a stock and that it is not a bogus company. What if after you pay, nothing is being sent? What then? Customer service: The company states that it has a 24/7 customer service by email. Still, I have sent an email and after 24 hours there was no answer. In addition, there are no other ways of contacting the merchant. There is no contact phone number or a live chat service. This makes it almost impossible for you to get a hold of the company and resolve any issues you might have with the products. 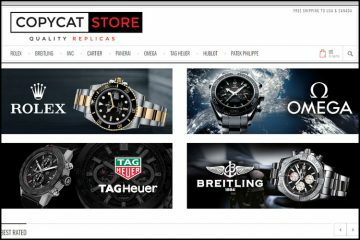 Summary: Replica-watch.org is an online replica website that has a very limited selection of watch brands, but convinces its customers to purchase through the use of big discount rates and free shipping. My doubts regarding the legitimacy of the company are in regards to its lack of responsive customer service and unreliable product photos. These two disadvantages weight very much in the balance of “fraud-not fraud company” and I just have to say that replica-watch.org is not a safe choice. 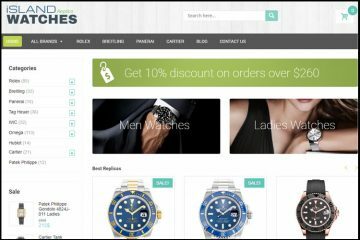 DO YOU BUY REPLICA WATCHES. I WORK FOR ONE OF THE SECOND LARGEST PAWN BROKER COMPANY IN THE WORLD. WE GET A LOT OF THE FAKES WATCHES, ALL BRANDS. No, I don’t buy used replicas.